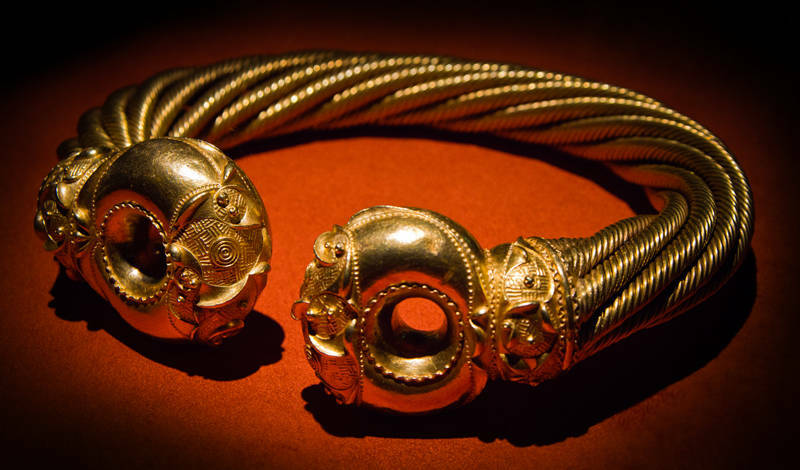 This is the Snettisham Great Torc. Apparently the most famous object from Prehistoric Britain. We were surprised to find it in Perths Museum today. Even more surprised to find the British Museum had also exported their gift shop along with their touring exhibition. At lease it was nice to find some extra exhibits. When we visited Cairo Museum in Egypt a few years ago we found Tutankhamen was on tour in the UK. In more recent news. We have just bought a 1987 Toyota Hiace Campervan. We will be leaving Perth tomorrow morning to begin our own tour of Australia. Your photo is better than the one on the British Museum website. Perhaps you should tell them! Thanks. It was not easy. There was not a lot of light in the exhibition.